Jasmine Gailer founded Scar Stories in 2011 after completing treatment for an osteosarcoma (bone tumour) earlier that year. Her experience with cancer, her day-job running an Outside School Hours Care for primary aged children, and her B.A. in psychology, all influence the way she operates within the organisation. Jasmine has strong connections with other cancer support organisations and with many fellow survivors. Jasmine is also a consumer representative for the Youth Cancer Service at the QLD and National level. Kylie Cobb is a media, marketing and graphic design professional with her own business (Scar Stories' platinum sponsor) Kitty Kitty Bang Bang. 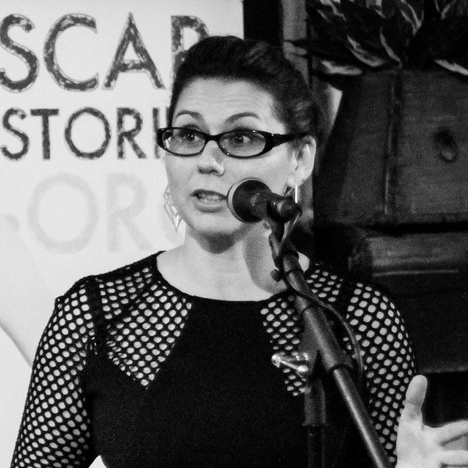 With a track record in delivering creative, strategic marketing and design campaigns for corporates, musicians, festivals etc, Kylie donates her time to assist in the planning, design, promotion and delivery of Scar Stories fundraising and creative initiatives. Vicky is a Non-Hodgkins Lymphoma survivor, happily in remission since January 2017. Since January, she has returned to her FIFO life and is now dedicated to using her personal cancer experience, diverse career background and BSc in Psychology, to support other young adult cancer survivors and raise awareness for the unique challenges they face. Hannah Murphy is a Ewings Sarcoma survivor and modeled for Scar Stories in 2011. Hannah is now studying a Bachelor of Communications and Arts at the University of Queensland. Hannah has spent many years as a Teen Linker for CanTeen QLD Division and definitely knows a thing or two about what it's like for a young person living with cancer. Hannah is extremely approachable and will be a friendly face for new Scar Stories members, volunteers, and clients. Julian Meek is a Sales professional who donates his time to the duties of Secretary for Scar Stories Inc. As Secretary, Julian is responsible for calling and recording meetings for Scar Stories Inc. and maintaining records. However, Julian is also passionate about supporting our cause and has commenced an active role in furthering its objectives. Eleanor Banks served as Scar Stories Inc.'s 2014/15 Treasurer and will maintain the position as Interim Treasurer until a 2015/16 Treasurer is nominated. Eleanor brings to the organisation a wealth of knowledge about public relations and the arts, having spent over five years working in the art gallery setting. If you would like to work with us, fill out the form below and one of the management committee will get back to you. Scar Stories welcomes all involvement, big or small, official or unofficial. We welcome new members and volunteers with open arms.